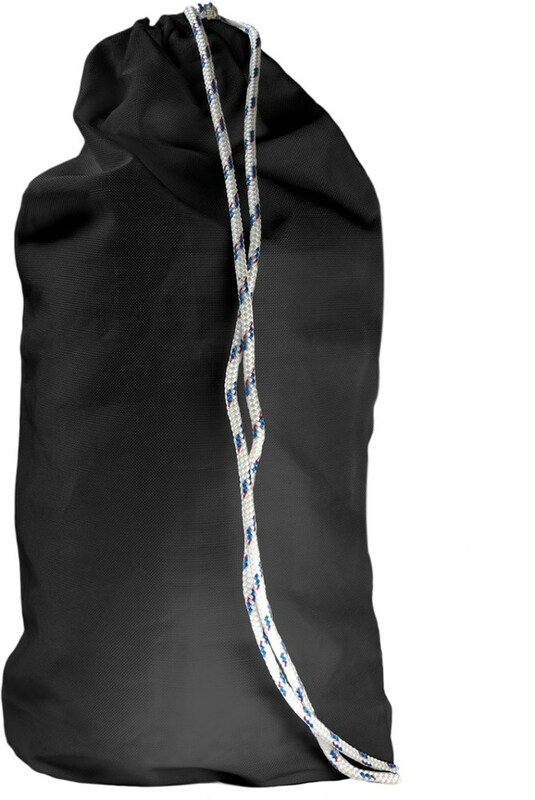 The "tied" and true, Bear discouragement, food containment system, the Ursack Spectra 29 AllWhite, may very well be your best available option for food containment, food protection, and food safety, as well as, ease of use, weight and volume consideration, while on the trail. Proprietary system… not all that bad, though. April 11, 2014… The IGBC test of the S29 passed. To date, I continue to enjoy the convenience, security and functionality of the Ursack S29 to keep myself and my food safe, and my S29 has yet to be attacked by any woodland friend! end May 13, 2014 update. More coming when available. 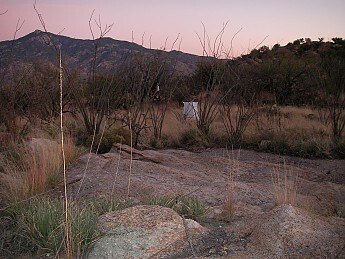 Wilderness of Rocks, Santa Catalina Range, Southern, AZ. In comparison to a canister style containment system, the Ursack Spectra 29 AllWhite (S29) has performed very well, and far exceeded my volume expectation, an innately, categorically, unpretentious concern, which incidentally is 10.65L (650 cubic inches). The S29 exhibits enough volume, I've found, to accommodate a considerable amount of food, for one person, for ~7 days, pushing hard and consciously eating! The S29, purchased early April 2012, was indeed acquired based entirely on two factors… First, and specifically, bear, particularly, but all fauna in general, population and their investigating curiosity have reportedly been getting quite comfortable with campers in Arizona. Of course, though, why else would you purchase one? In fact, I've spent many nights listening to wildlife rummage and/or sprint by the tent at night prompting this necessary safety assurance purchase. Second, and this one is personal, I needed an additional prop for exercising while on the trail and the Ursack is a good fit. ⁃ Sporting a volume greater than 10L, I felt the S29 would serve me well for better than ~97% of my backpacking expeditions. Even on a thru-hike, I may be able to compensate with hermetically sealed packaged goods, before they've been opened, by storing them in my pack overnight. This allow's me to use the S29 for hanging food that has only been opened and in danger of attracting wildlife. By these means, I may be able to thru-hike consistently and conservatively using nothing but the substantial volume of the S29 and whatever available space I have in balance, in my pack. ⁃ The S29 can be stuffed, rolled, compressed, dropped, washed and converted into anything else (if need be, to your imagination). Try doing all that with a rigid canister. ⁃ "Tied" and true! Tied well, and to a tree, a bear may submit to defeat before he makes a meal of your meal. Who knows where your can of food, if utilizing a rigid container, may be after the bear is done playing with it (may I suggest GPS). 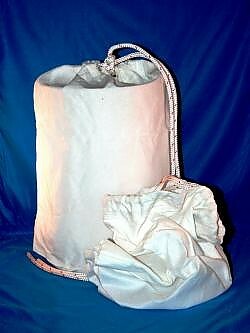 ⁃ The Included LOKSAK OPSak Odor-Proof bag (further discussed below) closes tightly and securely with care. I have yet to have a problem with Ravens or rodents damaging this system, or for that matter, even discovering/recognizing it as a source of potential food. ⁃ The S29 is easy to carry, adds relatively little bulk, concedes forgiveness inside your pack in consideration of other gear, lightweight enough at 207g, molds to the volume of food within it and compresses and/or molds in any position you need it when not in use, is not at all easily damaged, and the knotting/securing procedure is… easy! 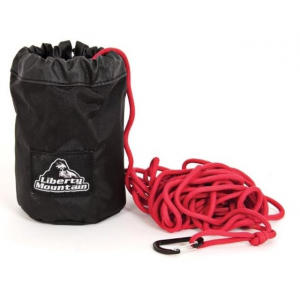 Ursack makes it even easier, offering knotting guides and instructions on their website. And, I really like this… you may purchase the S29, online, directly from Ursack without going through a retailer… easy! ⁃ In lieu of all benefits discussed above, highlighting is necessary without repeating. ⁃ Compared to a rigid containment container, the S29 may be you best option considering all cited benefits. ⁃ Ursack uses a Spectra material to create the S29. Spectra, similar to Dyneema, is a thermoplastic polyethylene, specifically, an ultra high-molecular weight polyethylene (UHMWPE), also known as high-performance polyethylene (HPPE) and high-modulus polyethylene (HMPE), which evidently claims to boast the highest strength-to-weight ratio, 8 to 15 times higher than steel, than any other thermoplastic. Has anyone informed their resident wildlife of this unbeatable fabric? ⁃ The Interagency Grizzly Bear Committee (IGBC) is currently testing this theory at the time I'm posting this review… so, keep yourselves informed. Ursack has a news link on their site (link below). ⁃ How easy is it for vermin to make a meal of your meal? Not likely, considering the information offered above. ⁃ According to Ursack, the IGBC is currently re-evaluating the S29 due to previous ambiguous information, and may be releasing their findings as early as April 2014. ⁃ Yes, although this one is personal. I use the bag as a fitness training tool while out on the trail and it works perfectly for me! I carry three gallon size ziploc bags, fill them with sand or stones, place them in the S29 and I'm ready to go. I've noted no profound damage, whatsoever, from using the S29 in my fitness routine. 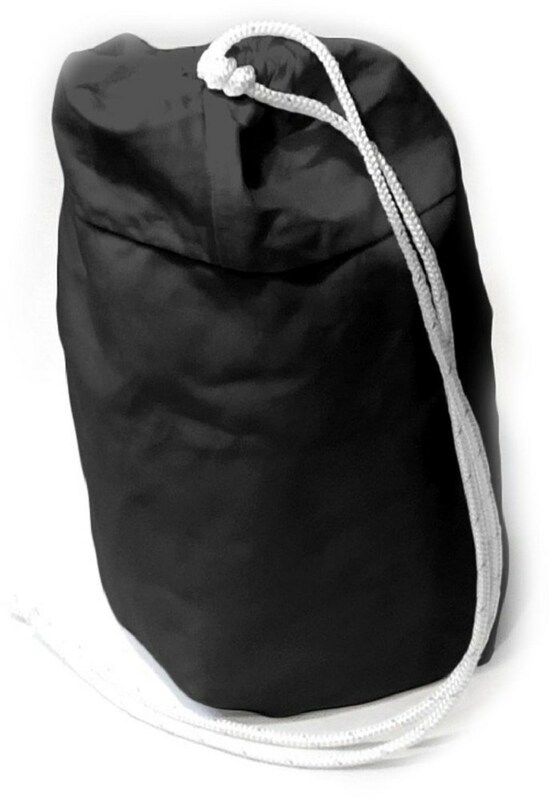 ⁃ The S29 features the LOKSAK OPSak Odor-Proof bag, a 35g, 12.25" x 20.75" odor barrier bag, locking similar to a Ziploc, that LOKSAK claims is 17,000 times more odor resistant than HDPE and, is 100% water and air tight (when correctly closed, LOKSAK adds), preventing curious olfactories from discovering your stash. A 3-pack from Ursack sells for $13.99. 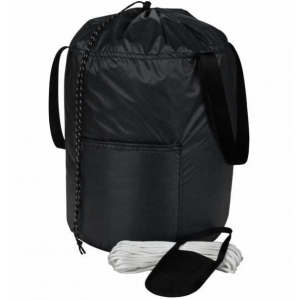 One OPSak bag, not a 3-pack, is included with the sale of the S29. ⁃ Purchased separately, I love that fact that if I needed further critter protection I can purchase Ursack's aluminum liner, a 306g addition, also adding some degree of crush resistance to the S29. 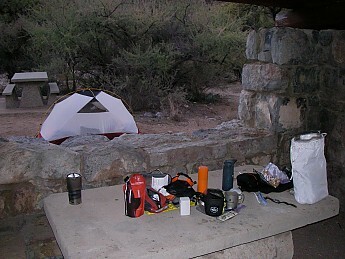 Prior to my S29 purchase, I foolishly kept my, although packaged well, food inside my tent. Finally, after hearing too many stories of bears attacking tents, I knew a containment system was next in line for gear necessity. In fact, I had the oh-so-foolish attitude that if I package it well enough it won't attract wildlife. Once again, I have never experienced any problems regarding wildlife and food, but further risk was not my best option, nor was this a position I decided to chance. Besides, our primary objective is to explore our wonderful woodlands, deserts, waterways, flora and fauna, and without capriciously becoming a victim, an attitude that will eventually fail if well exploited. The S29 is a system, a good system! 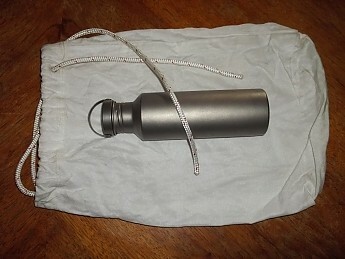 I have not employed the use of Ursack's aluminum liner and have not needed to. If I'm heading into wilderness that may require or suggest a need to do so, or the IGBC reports otherwise, I may or may not make the purchase, considering my particular experience, and further discussion and contemplation. With that said, you could heed any safety warning and dependably warrant, if geographically permissible, an OPSak with your S29, and I truly believe it would behoove you to do so, if at all you've decided the Ursack is a good choice, but ziploc's are efficient enough. I have, fortuitously, not recognized any sign of attack upon the S29 and believe it may be because of the performance of the OPSak; I have moved to completely trust LOKSAK Sak's! Ursack has indeed produced quite a significant food containment, protection and safety system and I'm proud to carry it! As an added bonus, Ursack is "1% for the Planet", as is Trailspace, FYI. 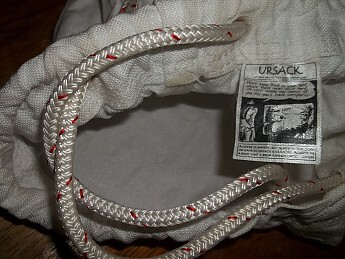 Finally, the Ursack, made in the USA of Spectra "bullet-proof" fabric, and a clear, considerable alternative to rigid containment, remains, to this day, a choice I would not hesitate to competitively conceive again. You're OPSak will fair best by rolling or folding the Ursack with the OPSak inside. Ursack recommends a figure 8 knot around a branch because it is easy to untie even after S29 has been pulled on by a 500 pound bear. At this time, I am unsure of the exact tensile strength of the rope, however, I'm sure it yields the maximum strength-to-weight ratio, and most likely in the thousands of lbs. range. I'll bet the rope withstands a Bear far sooner than the damage a Bear may cause the branch I've tied it to. The rope is easily replaceable if needed! • Ecologically smart. 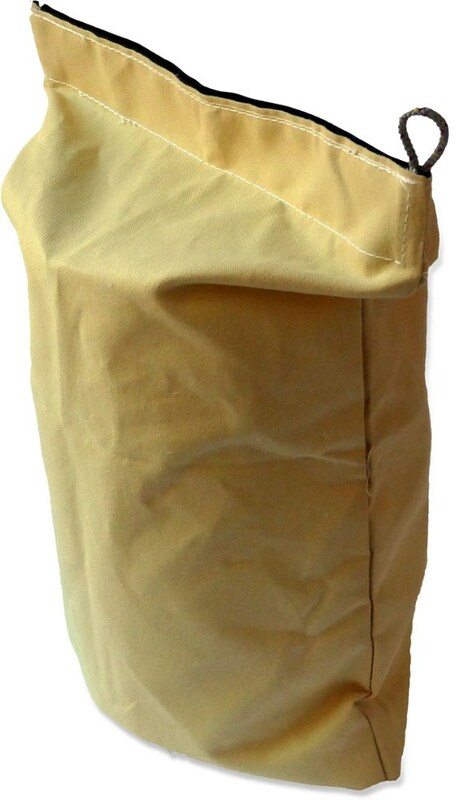 Highly reusable and 100% made of recyclable Polyethylene. Spectra 29 (S29) contains 29 yarns per inch! LOKSAK claims food may be rehydrated, using boiling water, in the OPSak bag, however, they also state the bags cannot withstand temperatures above 170º… thus, I phoned LOKSAK customer service… LOKSAK informed me the inside temperatures of the 5ml OPSak bag will, indeed, handle temperatures of 212º for rehydrating food. Of course the temperature begins to drop rapidly following initial introduction of boiling water to food. They also informed me that it is the exterior layer of the 5ml, five thousandths of an inch, OPSak bag that cannot handle temperatures above 170º. In regard to the exact type of polyethylene film, when asked, LOKSAK customer service had, no idea, he "didn't know"! Now, 5ml would imply a measure of length so I'm not positively sure if he meant there are 5 layers, or the bag is in fact 5ml, considering his answer regarding the "outer layer". 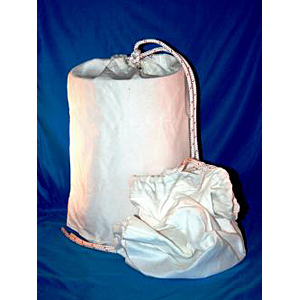 In any case, the bag is meant to and has been tested to boiling temperatures. Whether it is safe to do so, avoiding chemical leaching, at this time, I don't know either, considering his answer. I'm not holding this against Ursack, as it is LOKSAK customer service that I spoke to. I, unequivocally, will never be rehydrating food in any polyethylene bag, for safety reasons, unless I have no other choice! Ziploc bags, if you're still considering using these because they're cheaper than the OPSak, and they indeed are, are composed of a mixture of low-density and linear-low-density polyethylene (LDPE), plastic grade/recycle code 4. The OPSak, according to LOKSAK, can be used to rehydrate food with boiling water. I would NEVER do this with a Ziploc! Not only are Ziploc's not designed to withstand boiling temperature but you will emphatically run the risk of harmful chemicals leaching into your food. Purchased April 2, 2012 for $67.89 + shipping! I've utilized the Ursack only in the State of Arizona at temperatures ranging between freezing and the high 80's, ºF; and elevations ranging from ~2500' through 9000'. All photos, with exception of one noted, copyright David Drake! This is an Independent Gear Review of the Ursack S29 AllWhite. I paid full retail price for this product as a consumer and, I am not affiliated, whatsoever, with Ursack, LOKSAK or Ziploc, or affiliates! You promised to keep the good reviews coming! Thanks! @G00SE Hope it helps in your decisions. Thank you, G00SE! 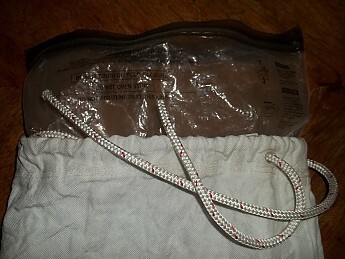 @denis The last of my Cons… "Bag is not IGBC Certified, and Not Approved in Certain Wilderness Areas". Since the bag may or may not be allowed in certain wilderness areas, and for the fact that that may change as early as next month, once the IGBC releases their report, I prefer not to steer some away who may be able to take advantage of this bag. 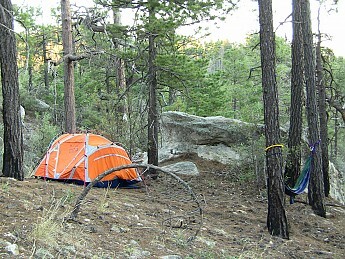 And, some federal lands I've wandered into already have permanent bear-proof containment one would take advantage of. I understand what you're saying, though. Let's wait until we see the results of the IGBC report. I, for one, am very excited to read it! Thanks for correcting my mistake David..Would Love if someone posts that to the forum in the future when it comes out..But it was a good review.. Thanks, denis. I'll let everyone know as soon as I see the report and update accordingly. I'm hoping it'll be a positive report in favor of the Ursack! Great review, very informative. I watched the bear tests from the company's website. It looks like the product definitely keeps bears out of your food; although I am not sure I would want it afterward. Thank you, John!! Yeah, the Spectra 29 is awesome stuff! The Bears may beat the daylights out of your food, but the food may continue to provide a meal following an attack… this is key! For this reason, once I see the slightest degradation of my OPSak, I'm considering purchasing the smaller sized bags, thinking they may not all be compromised. Thanks again, John!! David, yet another excellent review! Please keep them coming, it's good to see real information from actual users. 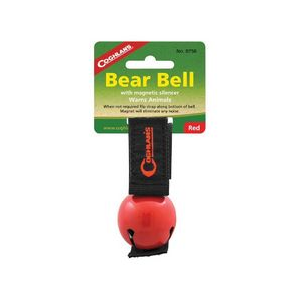 I just started using bear canisters in the last few years (the bear density is much higher here on the East Coast than it was on the West Coast). Unfortunately, a lot of the areas I go to require bear canisters (not even allowing bear bag hanging). Thank you, Waldy! And, I will! Where are you on the East coast? I remember the Bear population reportedly high when I was in NY and NH, although I never saw one. 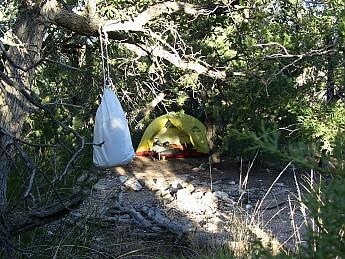 I know many Ursack users simply leave theirs on the ground or tied to the bottom of a tree. And, yes, many wilderness areas do require a canister and, if anyone is curious about the area they are about to enjoy, it's best they consult with that particular National Park website for more info. Ursack, of course, is trying to change this and we may find out as early as next month. Stay safe out there, Waldy!! Thanks, again! I have used the AllWhite in the Adirondacks, home of Yellow-Yellow, the black bear who opens the BearVault, for about 100 nights. Just last weekend it was attacked by a raccoon, who spent quite some time on it to no avail. The UrSack AllWhite is an easy to use alternative to hard sided canisters. 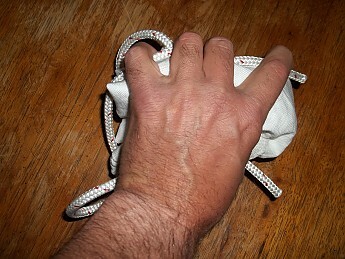 The only knots needed are an overhand and a figure-eight. The Ursack has been with me for over 100 nights in the Adirondacks over the past 3 years. I use it all seasons including the winter as it also protects from other creatures, although the smaller rodents are able to pierce the bag. It is recommended to use the aluminum liner to reduce the potential for crushed food and to prevent the sharp toothed rodents from puncturing your food. A raccoon recently spent hours trying to get into it. The only damage is some (hundreds) of teeth marks all over the bag. Due to raccoons having smaller, sharper teeth than a bear, he was able to puncture one of the ziplocs inside hence the recommendation for the liner.